After important milestones in education each one of us faces this question ‘what next’ after class 10th, after class 12th and after graduation. Career counseling can help in all the major milestones in one's career. Firstly, to decide a stream and subject combinations, to decide the graduation course, and then, to decide the post graduation and career option ! In school a helpless 16 year old is faced with the choice of various streams - Humanities, Science with mathematics, science with biology and Commerce, and the only career guidance he has is the opinion of his parents, his teacher’s judgement based on his marks and the comments of his friends and neighbors. A class 11th -12th student with his subject combinations is flooded with agencies providing various entrance preparation and colleges luring his / her attention. What help he has parents, teachers and admission counsellors whose only job is to place the student in college and course where they will get commission. A graduate who is doing the course because the parents wants him/ her to do it or he was not sure of any other and thus is doing the course is also confused about career choices. It is at this point that a career counselling can help the child sail through these turbulent times. Get help from Dr Anubhuti Sehgal, Call 9650338746 to book appointment and know more ! Career Counselling involves scientifically developed aptitude tests and personality tests that helps a career counsellor give the best suited career advice to the student based on his report of his aptitude and personality. Human capacities are infinite and can never be measured, nor are we to judge of what one can do. Every person has unique characteristics, for everyone has his or her own strengths and weaknesses. The key is to identify these unique qualities is through Psychometric Test and career counselling. 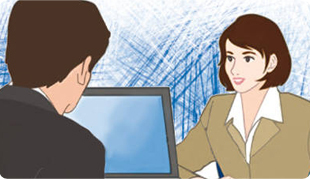 Career counselling sessions helps the students to know the pros and cons of the different streams, courses and educational options and the career path it offers, thus the students can make an informed choice, and get a career assessment that helps avoid the risk of change in career path later in life. The importance of pinpointing the work cut out for each person can only be gauged when one sees the agony of extreme job misfits. So a career counselling and guidance is needed to help organize ones thoughts and ideas on career related decisions.It can boost the morale and confidence and give new directions to the students which will be beneficial for the whole society. Choosing a career that matches one’s aptitude and personality itself translates into professional success and popularity. The main aim of career counselling is to help students choose a field that is in tune with their skills and their job expectations. Thus, with the help of career counselling, most candidates end up choosing the right career, and perform their level best, which ultimately helps them succeed. Though not many schools in India give career counselling to students, if your school does not provide you professional counsellors, you can always seek the help of independent counsellors. It is always better to seek professional guidance rather than go for something that the whole herd is going for. MapMyTalent offers online career counselling and aptitude test which helps the students in knowing their inherent strengths. This information is used by the career counsellors to guide the students towards their “best-fit” courses / careers, and helps the students to get a correct career assessment. Get career counselling from MapMyTalent Expert Dr Anubhuti !